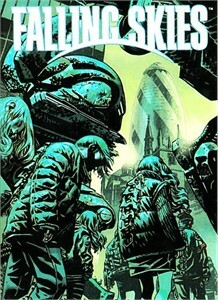 Falling Skies 2013 Graphic Novel Pinup Art chase card 10 of 10 made by Rittenhouse and inserted ONLY in the Season 2 DVD set, making it the toughest of the 10 cards by far. NrMt-Mt. ONLY ONE AVAILABLE FOR SALE.